If you’re one of the many college students who’re studying for their finals, then you know how it feels to experience burnout. The constant drive to keep up with assignment deadlines and exams that seem to converge at the same time can be extremely stressful. As recent studies show, stress is detrimental to focus and productivity. This is where cannabis comes in. It’s a well-known fact that cannabis has a relaxing effect on the mind and body, and it also helps lift the mood. Research now shows that the cannabis plant can increase the number of neural connections that are possible thus improving memory and cognition. This is according to a study done by the University of Texas which involved tracking the activity of 48 cannabis users between the ages of 20 and 36 as well as another group of non-users of the same age group. The researchers placed each participant through an MRI scan to see how cannabis affects the brain after 6 to 8 years of daily use. Most of the cannabis users smoked an average of three joints per day. The MRI scan results showed a correlation between cannabis use and healthier neural connectivity. However, the results also indicate that cannabis may be responsible for shrinking grey matter. Let’s take a closer look at the pros and cons of using cannabis while studying, shall we? There’s no denying the fact that looking forward to a blunt at the end of your studying session may encourage you to focus more on your work so that you can finish quicker. But what about those who study “under the influence” as it were? According to research, consuming cannabis while studying can actually be helpful to persons with neurodivergent health conditions. Taking cannabis helps decrease seizure frequency, improve mood, focus and alertness as well as sleep. Studying while using cannabis is obviously very beneficial to individuals with neurodivergent conditions but it’s still a good idea to consult with a professional physician before you take cannabis. What about students who don’t have neurodivergent conditions but still consume cannabis while studying? It’s a well-known fact that the indica strain of the cannabis plant promotes relaxation and improves sleep. Getting enough good quality sleep is a great way to increase focus and productivity in general. On the other hand, a sativa strain usually boosts creativity, improves energy levels and can significantly lift your mood and get you excited about learning. It’s important to note here that these benefits are often acquired when taking cannabis in moderate and supervised dosages as opposed to taking it in heavy dosages. The latter may actually negatively affect your motivation to study and decrease your concentration levels. That’s why it’s best to stick to a CBD-rich cannabis strain instead of a THC rich strain as the latter is a psychoactive compound that induces a state of excessive mental fluidity. 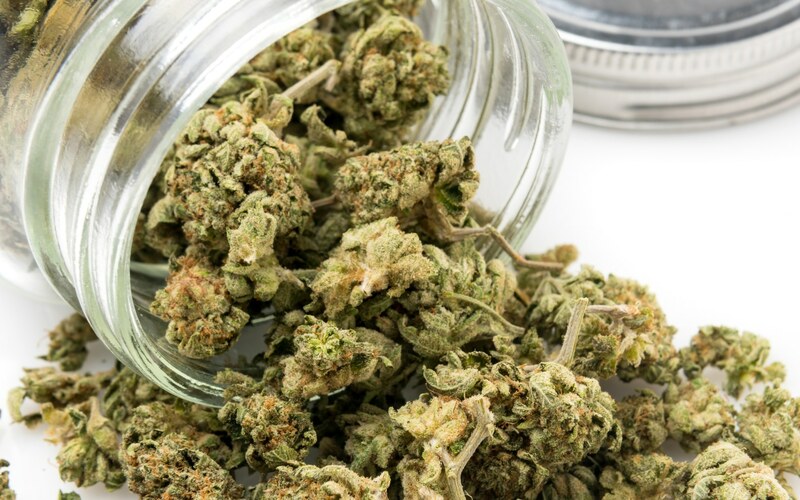 Research has also shown that the consumption of THC-rich cannabis has the ability to dull your working and spatial memory which is crucial to learning and retaining information. In a nutshell, cannabis use while studying is a catch-22 situation. On the one hand, using the right CBD-rich cannabis strain in moderate dosages can increase your focus, get you relaxed enough to get a good night’s rest the day before an exam and increase your creativity but on the other hand, taking a THC-rich strain or heavy dosages can lead to compromised memory and even brain shrinkage. Previous PostPrevious Can CBD Be Used to Relieve Toothache? Next PostNext Can Cannabis Be Used to Aid Sleep?